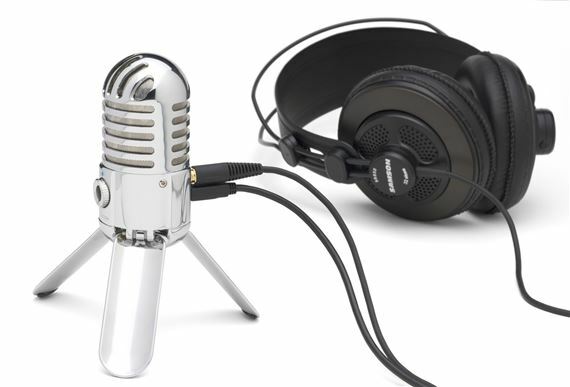 Shop Samson Meteor Mic USB Studio Microphone from AMS and enjoy Fast & Free Shipping. 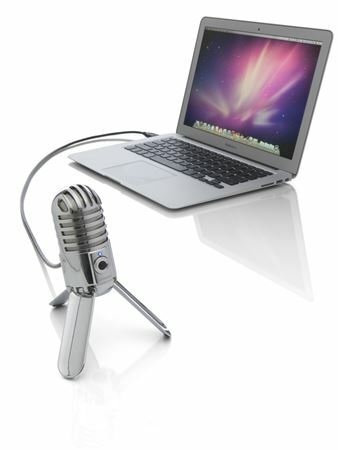 The Samson Meteor Mic USB Microphone is the universal solution for recording music on your computer. 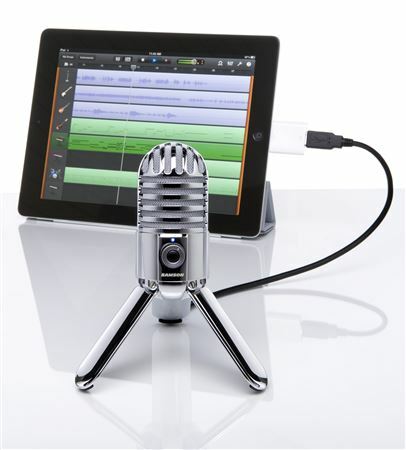 Perfect for your home studio, Meteor Mic is also ideal for Skype, iChat or voice recognition software. With Meteor Mic, you can make incredible recordings that are out of this world. 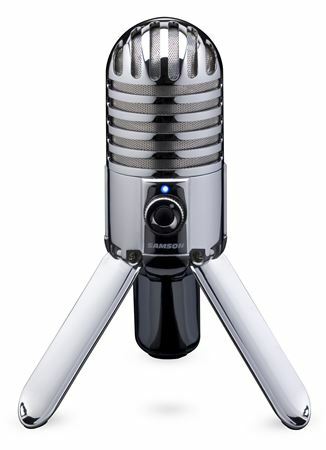 Meteor Mic's chrome-plated body includes a fold-back leg design that looks amazing on your desktop. And the legs adjust to the optimal position for any recording application from acoustic guitars to vocals or speech. A stereo 1/8-inch headphone output for no latency monitoring and headphone volume knob give you complete control. A microphone mute switch gives you audio privacy while video conferencing. Samson has integrated a mic stand adapter into the bottom so you can mount the Meteor Microphone on a boom or desktop stand. Since there's no need for drivers, you can start recording right out of the box on any computer. And Meteor Mic is compatible with most computer-based digital audio workstations. A USB cable and carry pouch are also included. For online communication, Meteor Mic is a simple, yet elegant solution. For Skype or other communication software, Meteor Mic provides a level of clarity that enhances everyone's experience. 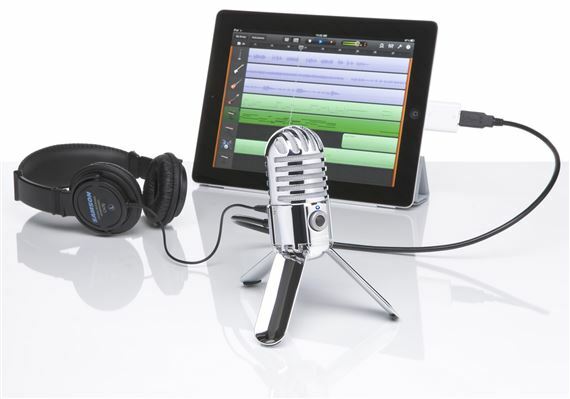 Need a portable audio recording solution? Meteor Mic will even work with iPad when used with Apple’s camera connection kit. With Meteor Mic, your online communications have never been more personal or effective. 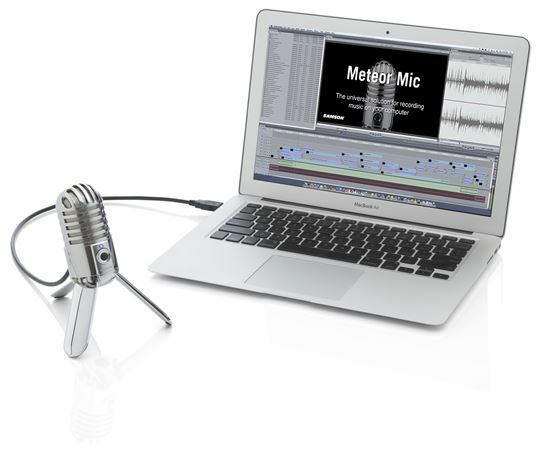 For multimedia creators, Meteor Mic brings amazing audio quality to voiceovers. If you're adding narration to a company video, or even your home movies, Meteor Mic will give your words clarity and impact. You can even use Meteor Mic to narrate PowerPoint presentations. At last. A shiny microphone NOT made out of plastic.